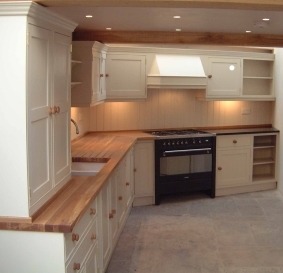 Although waxed pine is the main finish we provide on our products, we have over the last few years generated another area of expertise in that of painting our pine products. 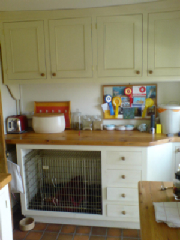 THIS KITCHEN WAS MADE TO HOUSE A DOG BASKET !!! 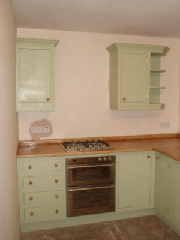 We also make and paint kitchens from antique components, we use items such as doors / drawers / moldings as we have large stocks of original items that we have in stock and these can be viewed by customers prior to ordering and all have been stripped down through caustic soda tanks. 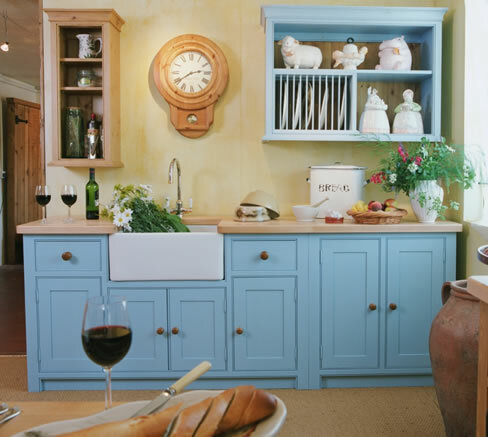 This is another area where we feel the service we provide is second to none, we have been making painted kichens in Halifax for some time and have years of experience. 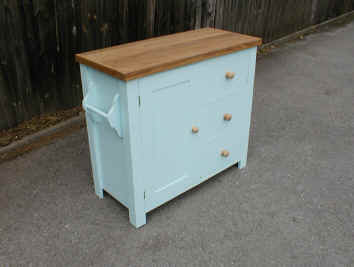 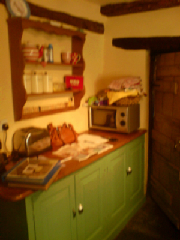 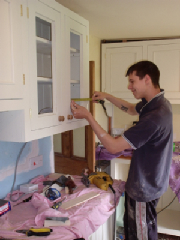 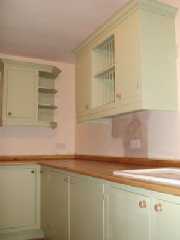 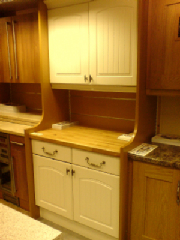 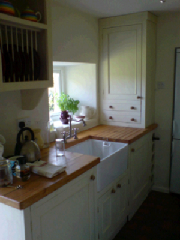 We can also offer bespoke made to order painted pine furniture to compliment painted kitchens.